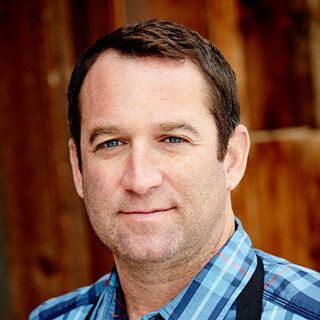 Adam Perry Lang is a chef, restaurateur, and a The New York Times best-selling cookbook author. After cooking at Le Cirque and Daniel in New York City and at Restaurant Guy Savoy in Paris, he turned his attention to barbecue. 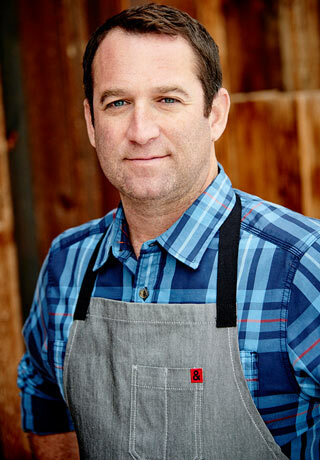 Perry Lang’s victories on the national competition circuit include Grand Champion honors at the World Pork Expo and first place for Pork Shoulder at Kansas City’s American Royal Invitational, “The World Series of BBQ.” He is the founder of Daisy May’s BBQ in New York City, co-founder with Jamie Oliver of Barbecoa in London, and meat maestro of Carnevino in Las Vegas. What goes through your head when you first wake up in the morning when you barbecue? I get up at midnight to work, so basically the first thought is "don’t fall back asleep." For me though, I wake up with an excitement to light the fire and get going with the day, so that’s what propels me forward. Where is your favorite place to barbecue? My BBQ warehouse in Mondale, CA. I make a point not to get comfortable with the existing knowledge I have. I continue to always be curious, inquisitive, and exploratory. I’ve got a few that come to mind – Jimmy Kimmel, Oliver White, and Daniel Boulud. If there is any love­-hate relationship with any aspect of what you do, can you describe what that is? Balance of time is always a struggle. I want to spend every available minute I can at the restaurant, but I also want to spend every available minute I can with my family. I’m so passionate about both aspects of my life. Sometimes I wish there were 48 hours in the day instead of 24. Children laughing, fishing line peeling off a fly fishing reel, the sounds just before dawn. I would be a fly fishing guide. Built for the wild means containment within the chaos.